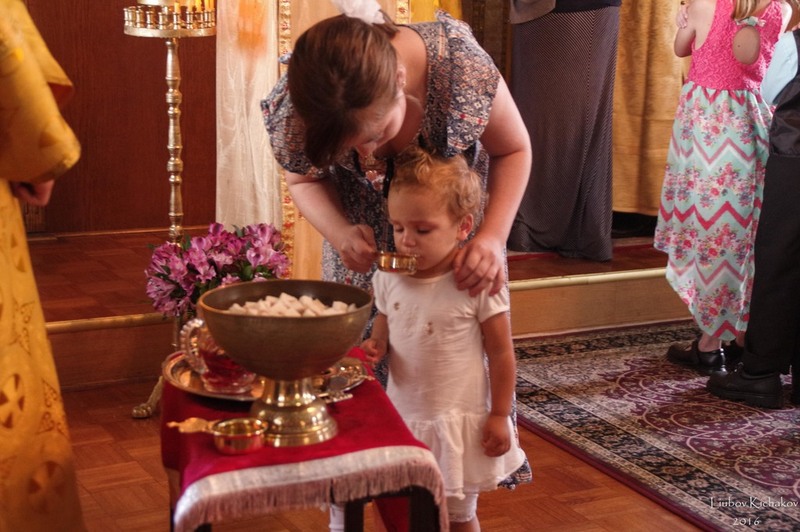 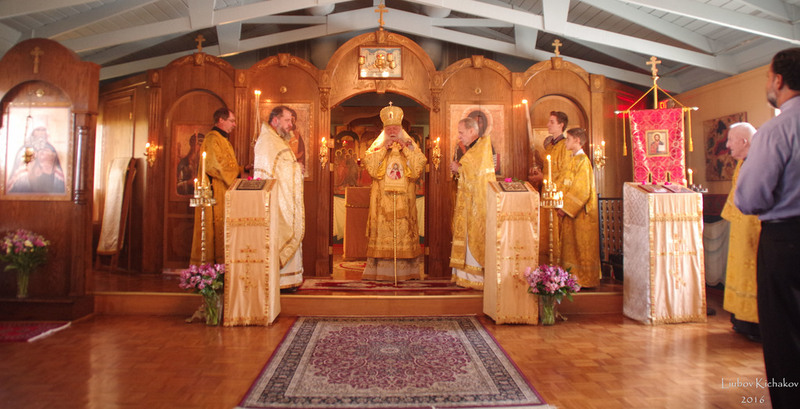 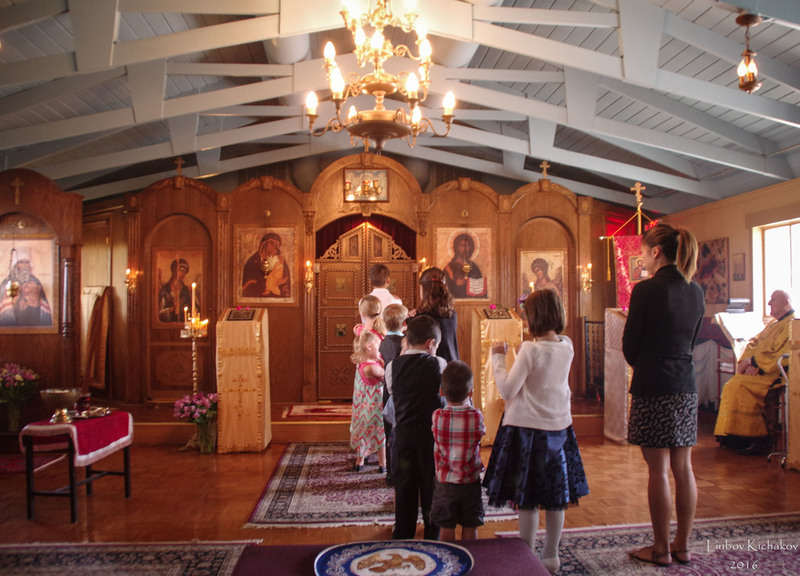 On September 18, 2016, His Eminence Archbishop Peter visited the parish of St. Innocent of Moscow in Wheaton, IL. 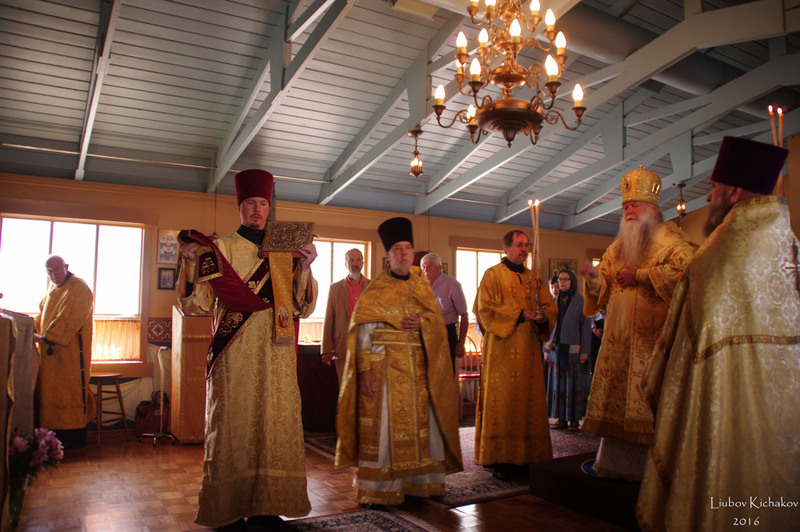 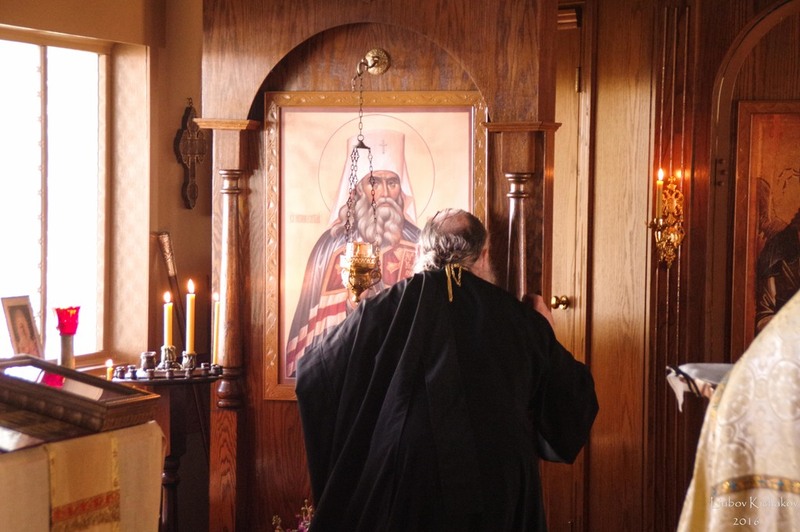 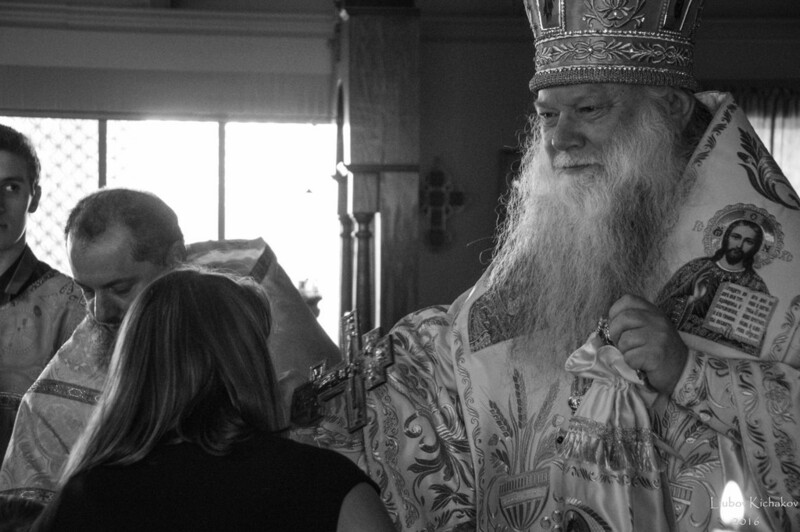 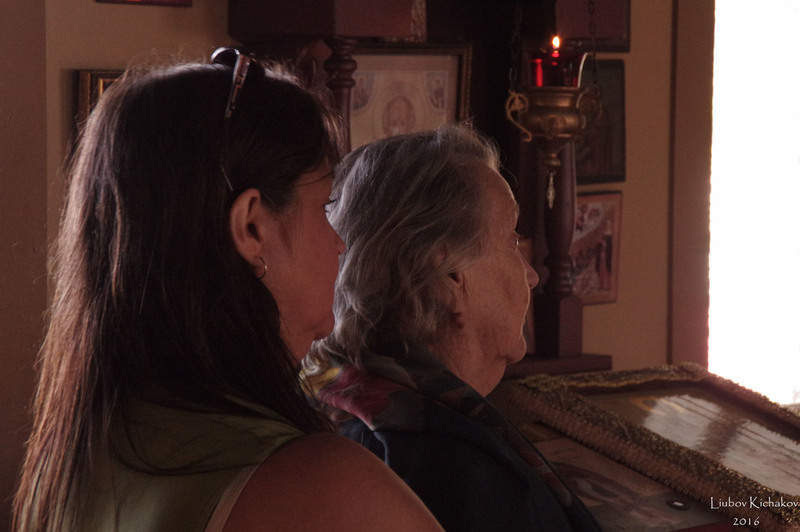 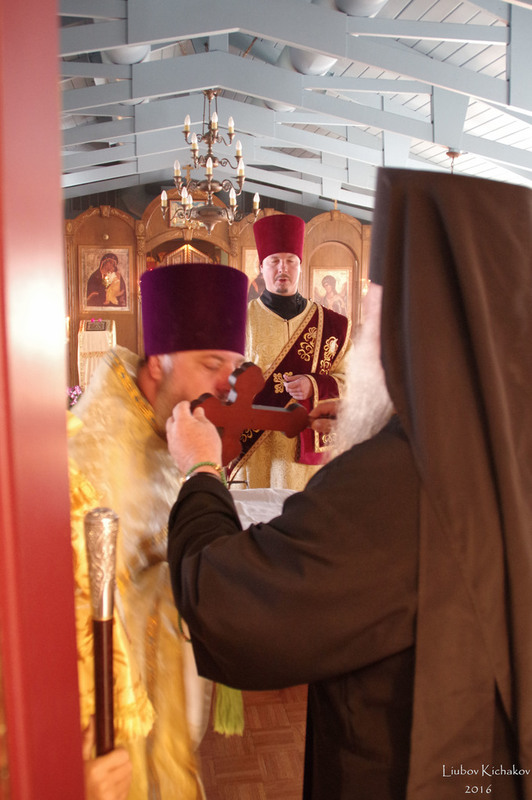 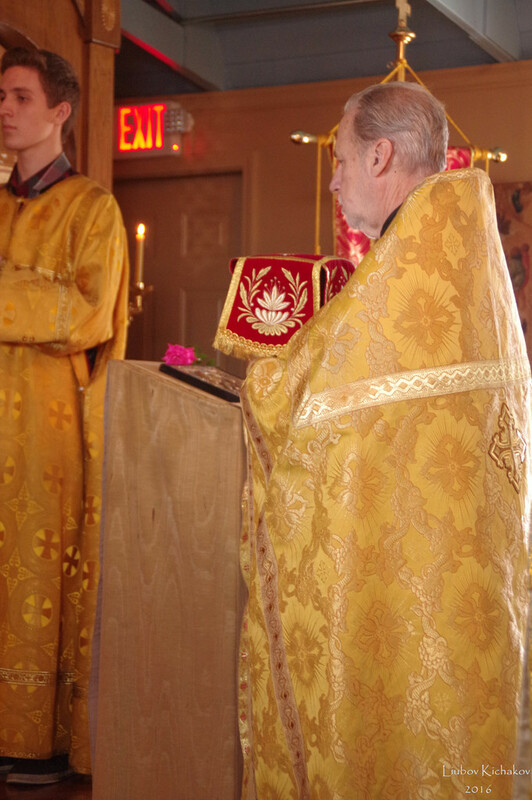 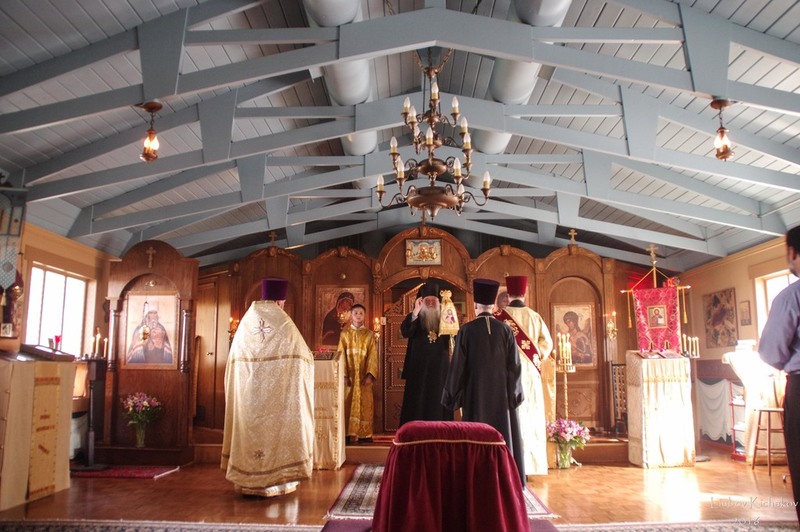 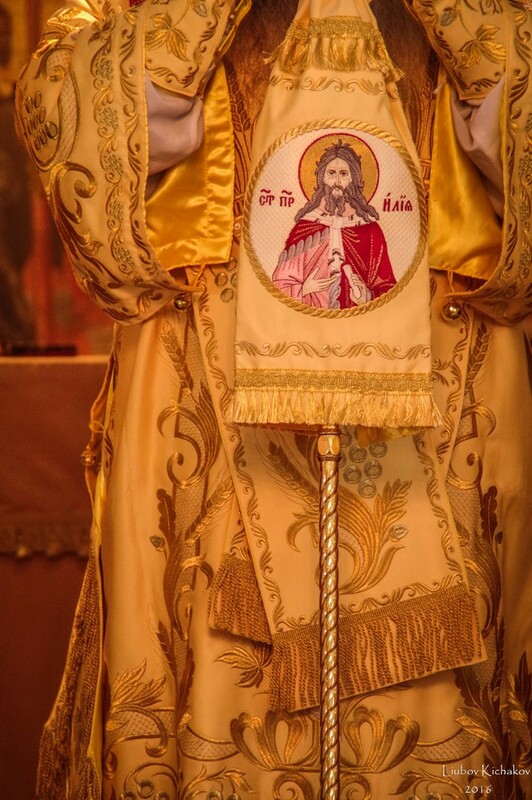 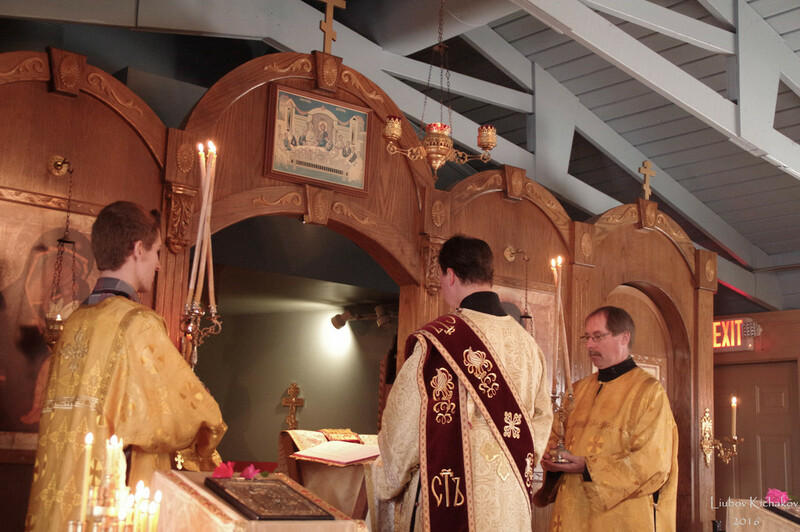 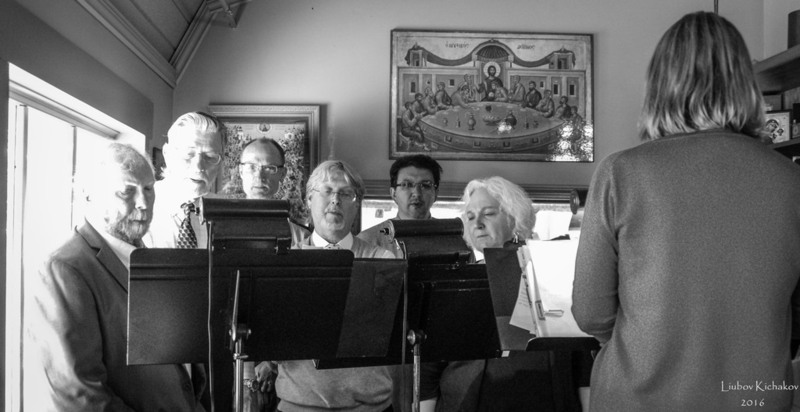 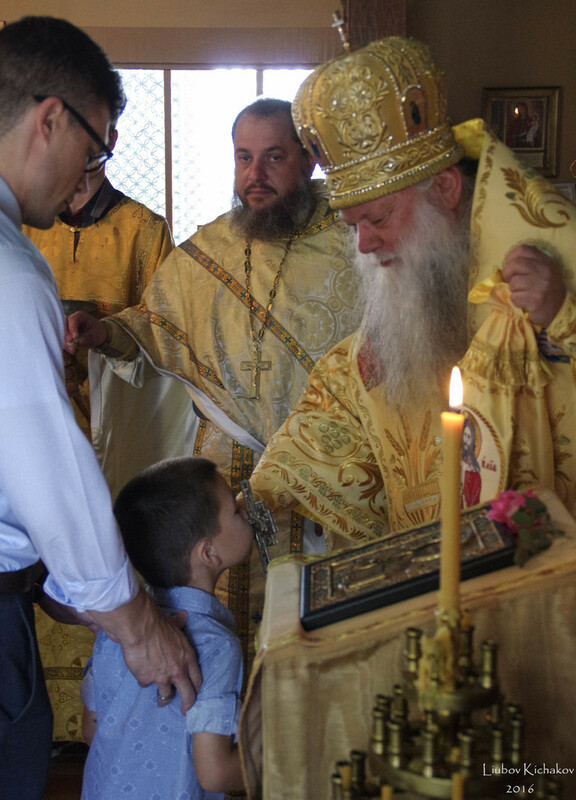 His Eminence presided over Divine Liturgy along wih the parish rector, Rev. 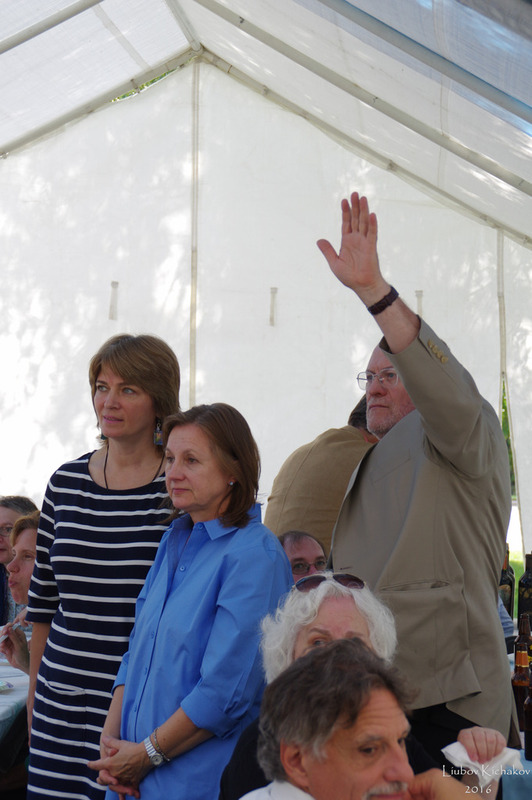 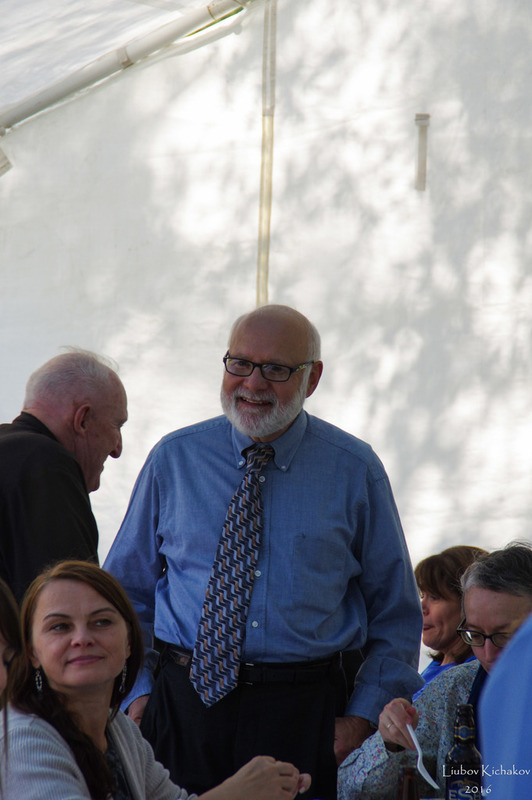 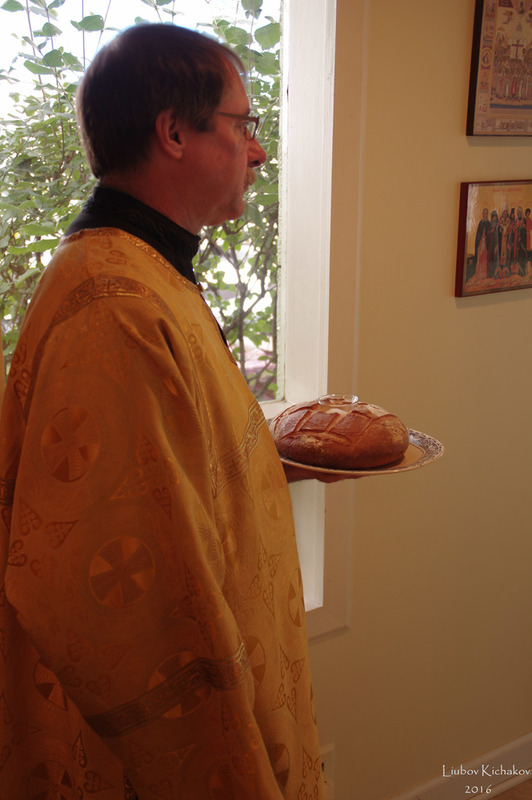 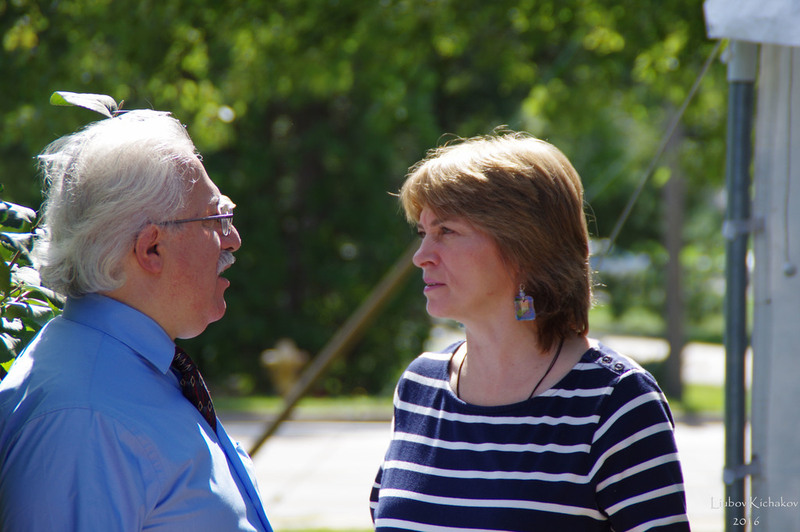 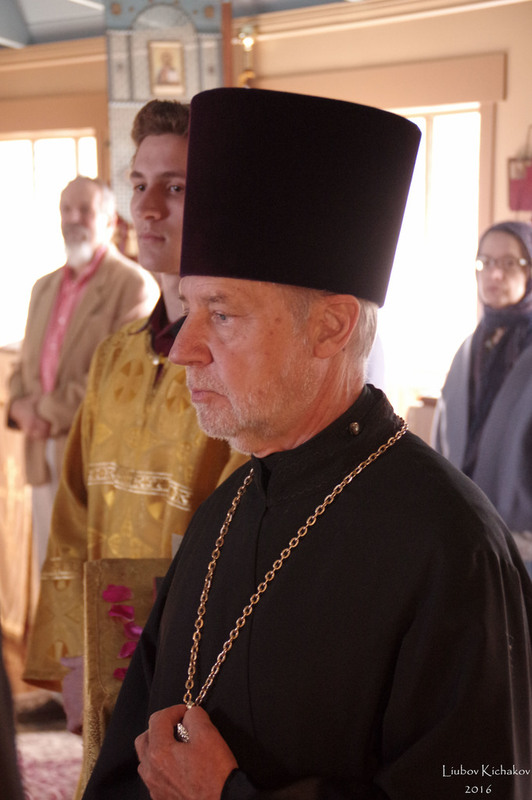 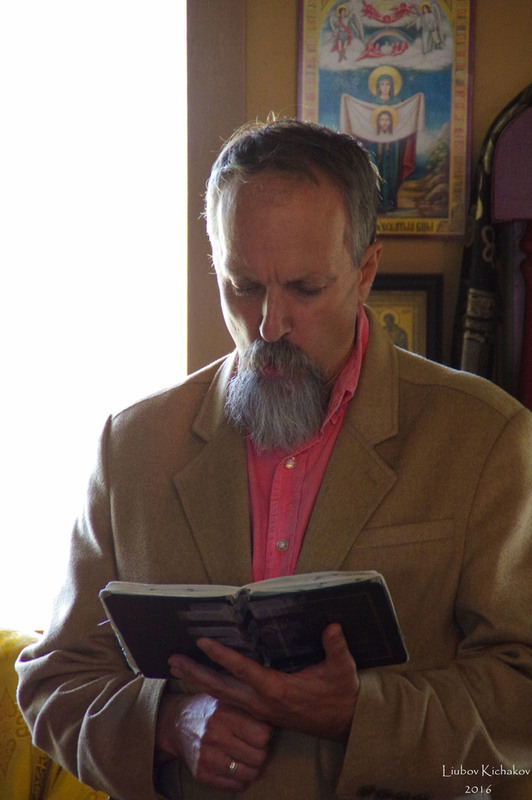 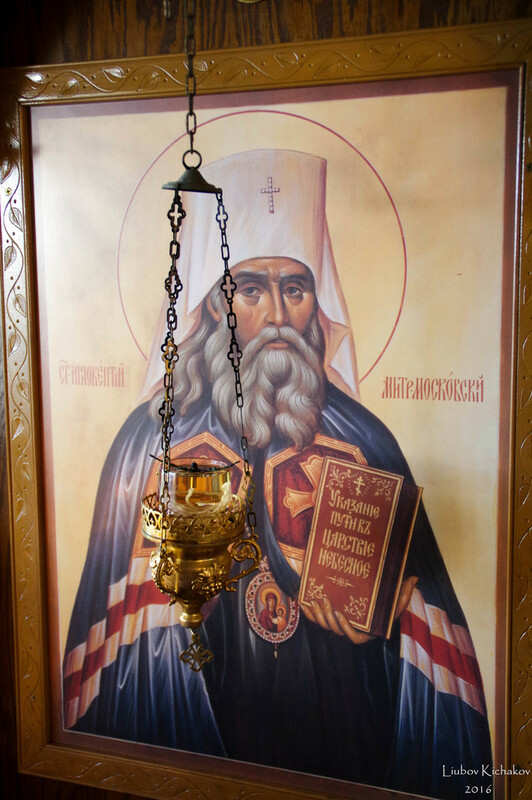 Tarasiy Maksmitsev, retired former parish rector Rev. 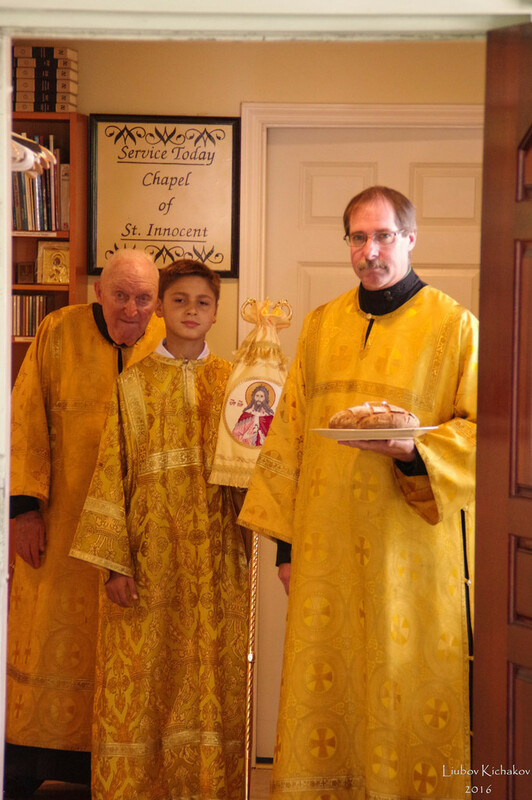 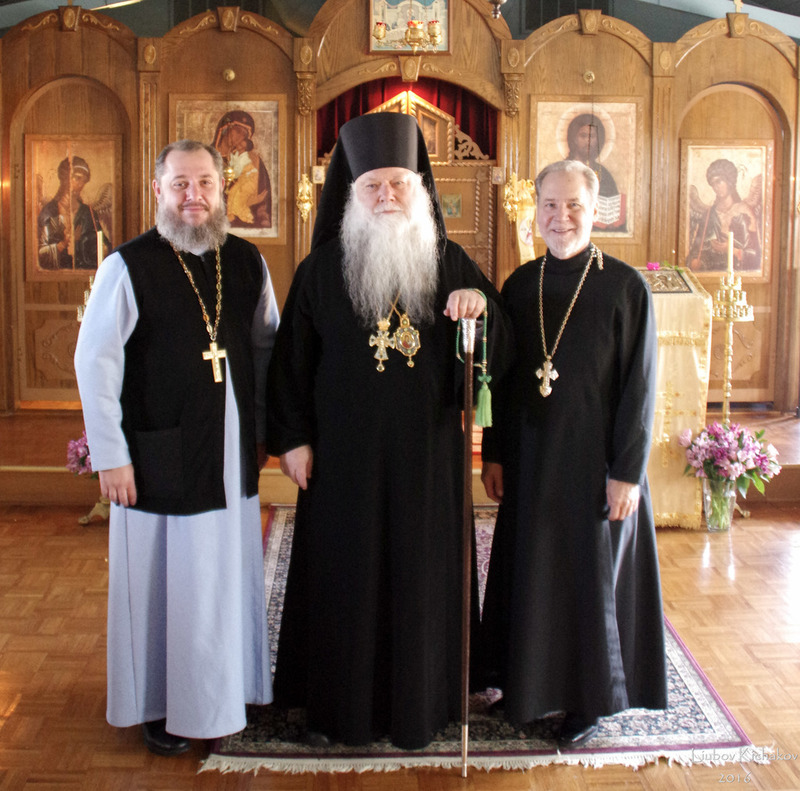 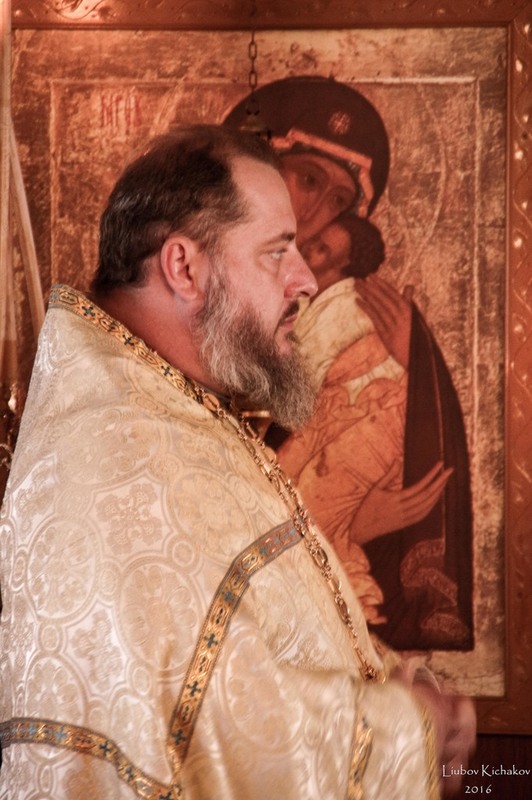 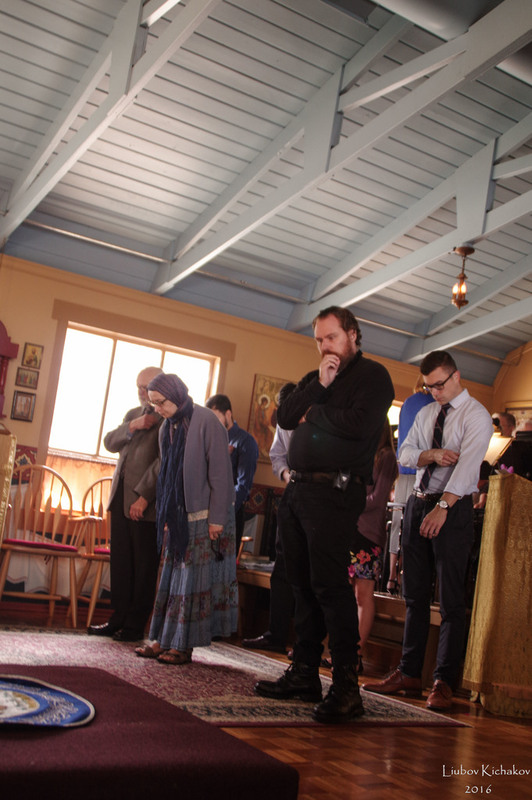 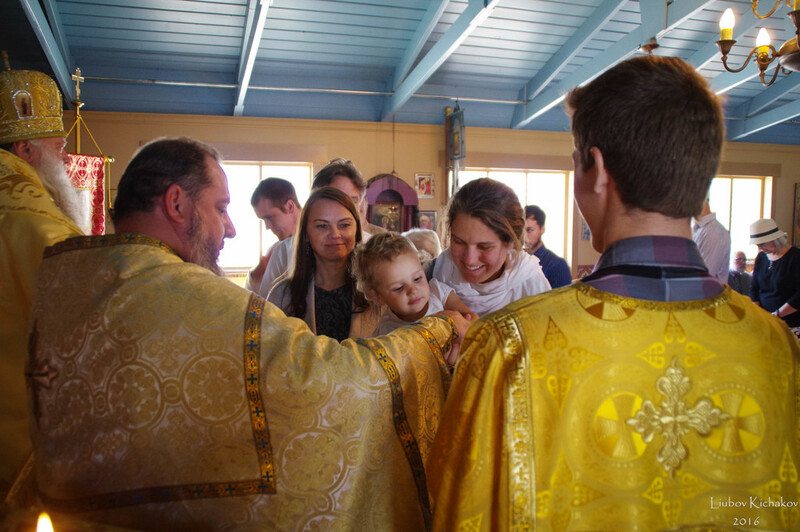 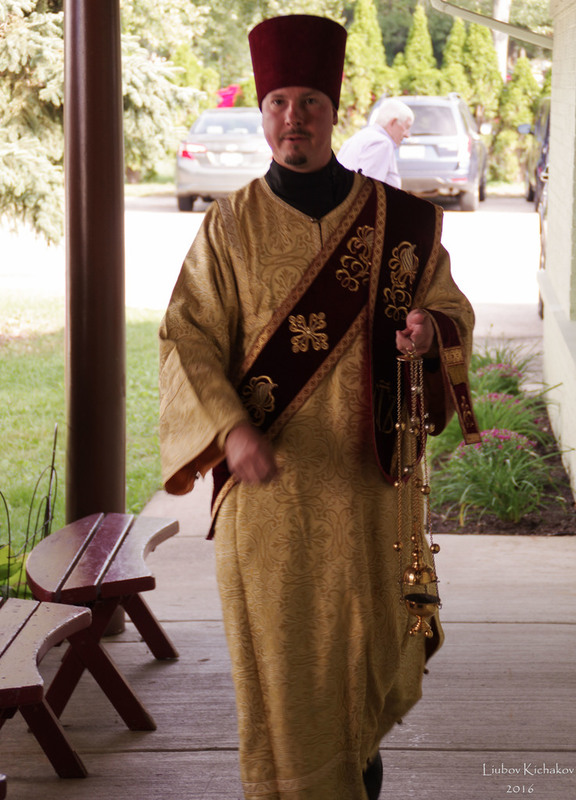 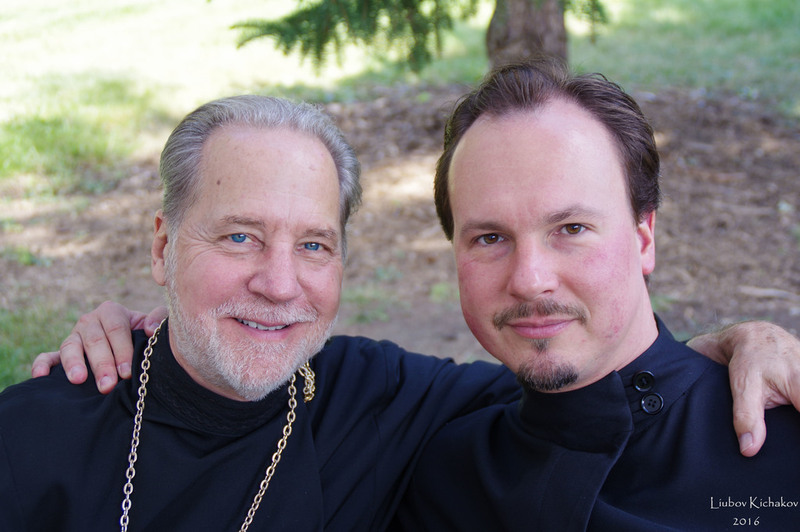 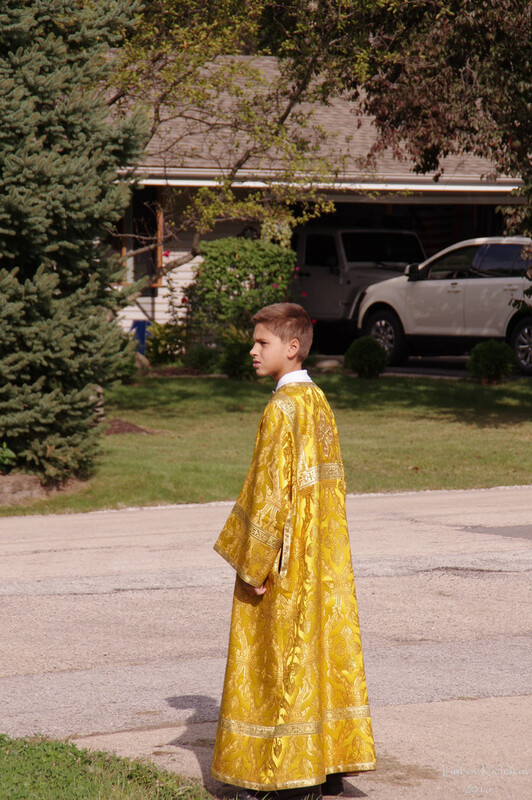 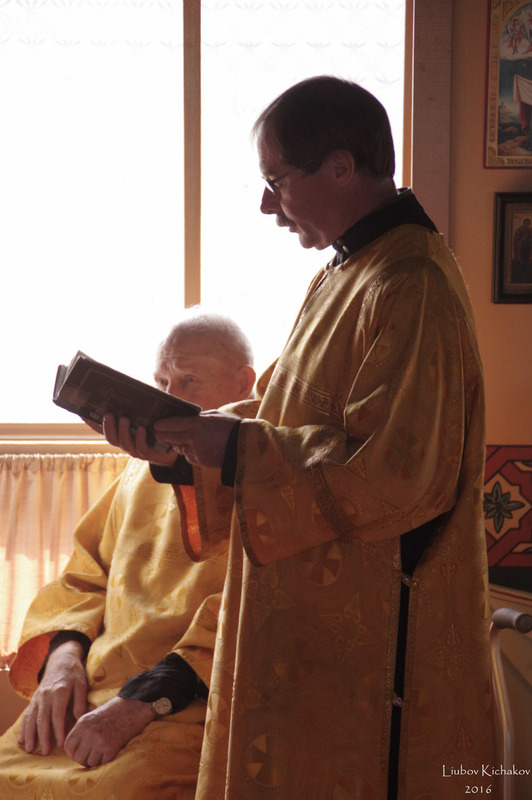 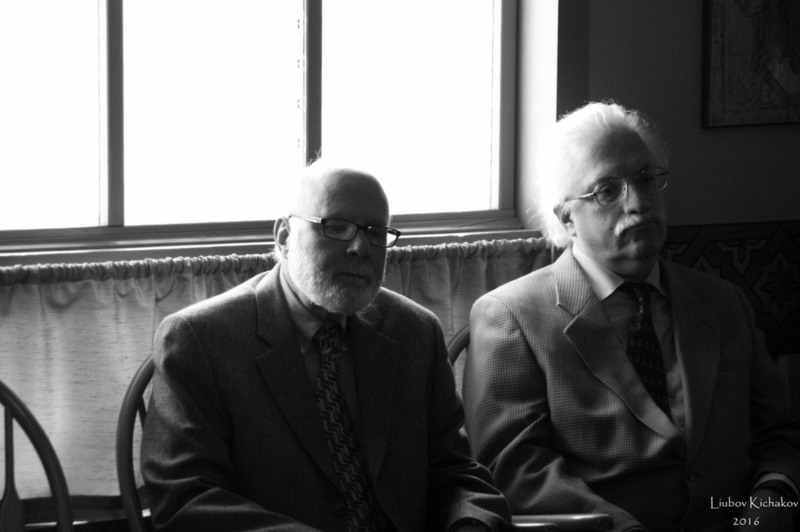 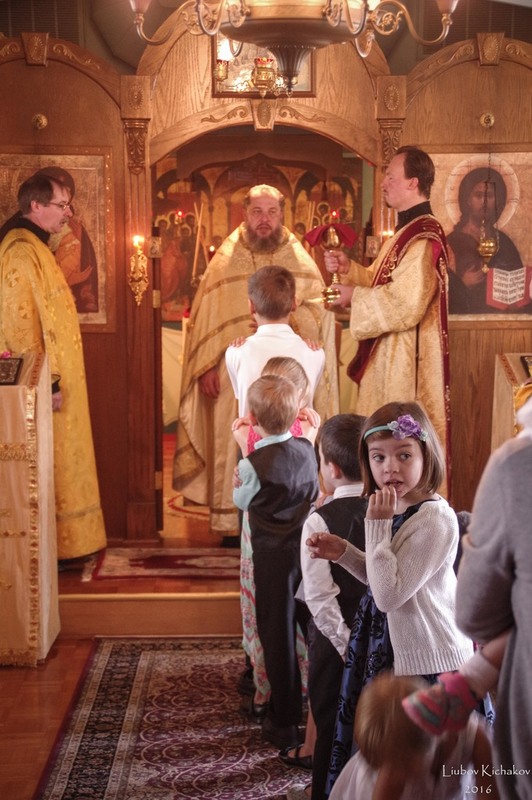 Jerimiah Loch, as well as Protodeacon Alexander Kichakov of the Holy Virgin Protection Cathedral in Des Plaines, IL. 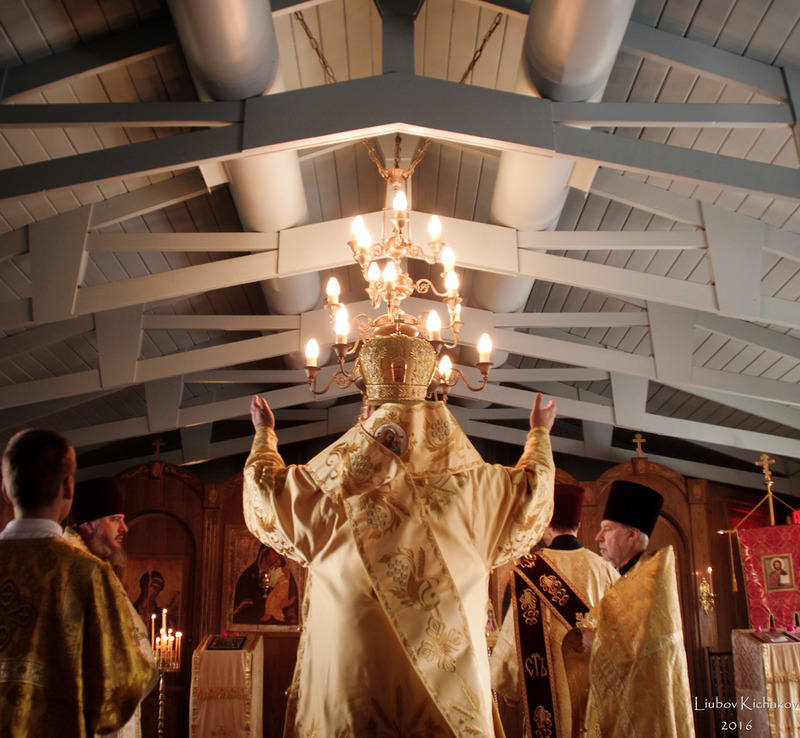 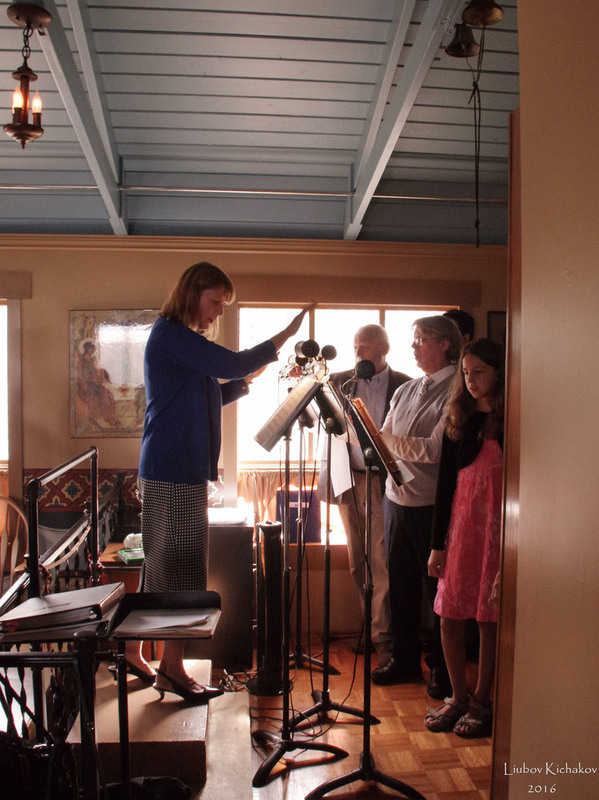 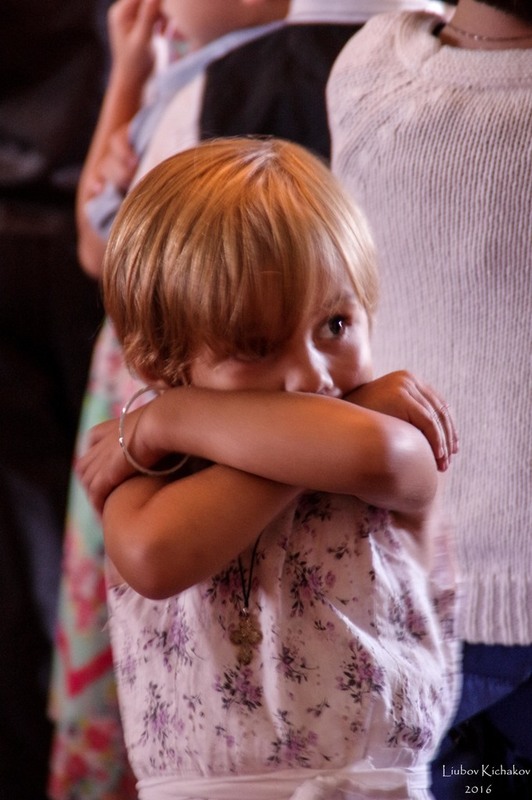 "He gave us this life to demonstrate to Him how we desire to live in eternity. 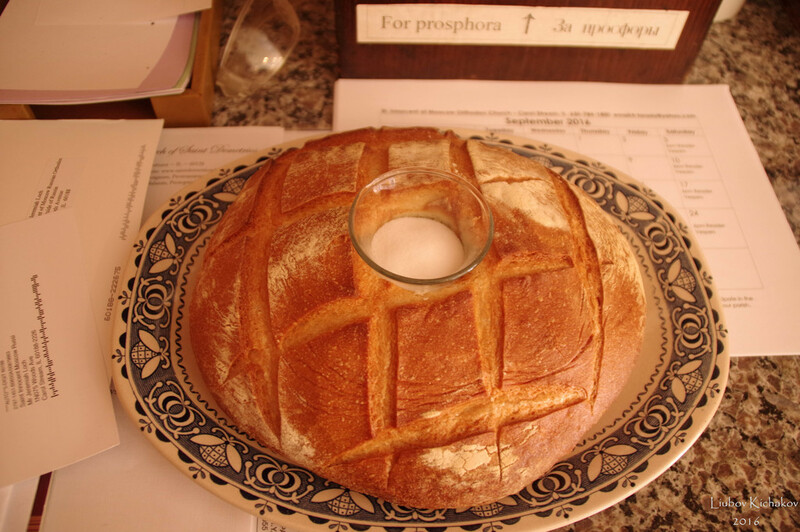 Let the Parable inspire us to become true and faithful stewards of the Lord's vineyard". 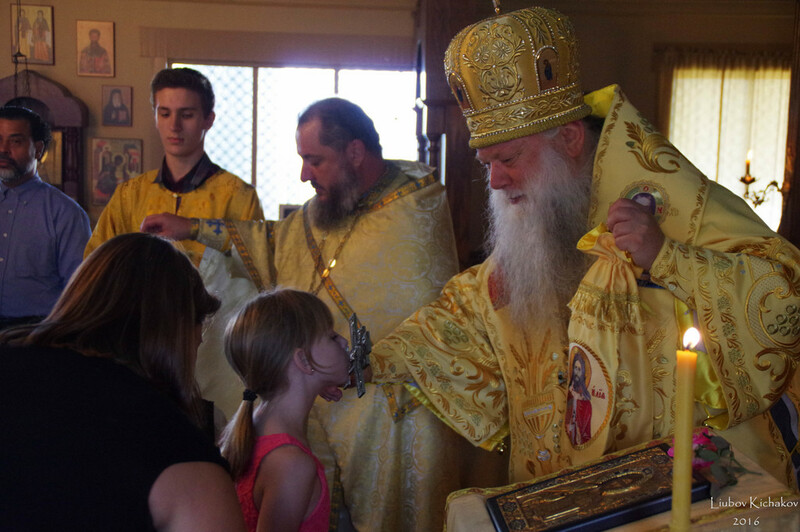 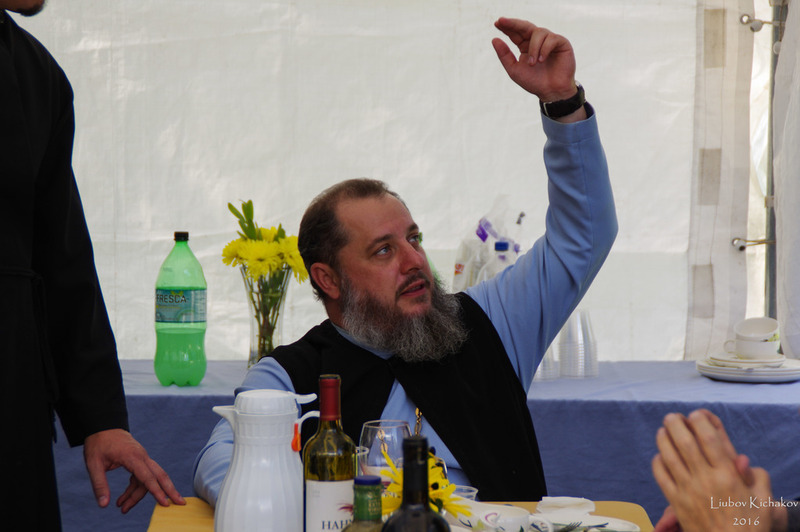 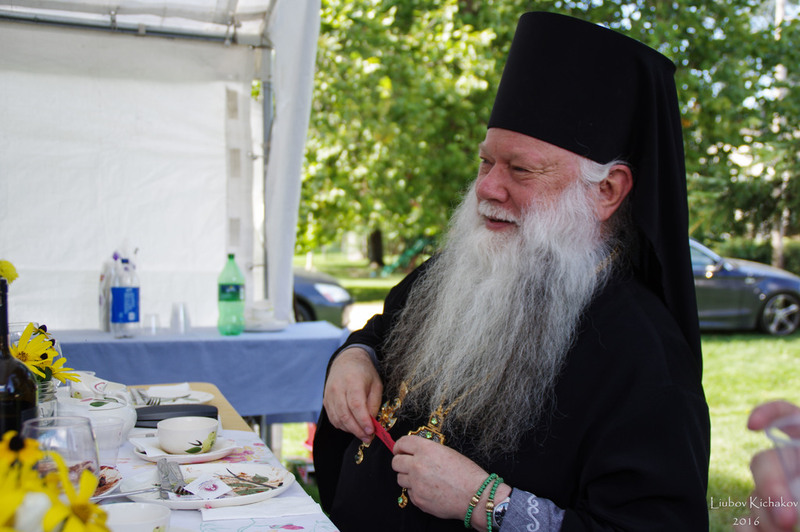 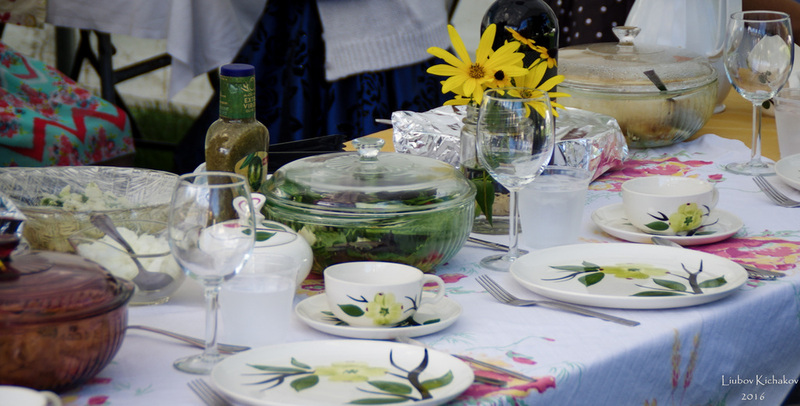 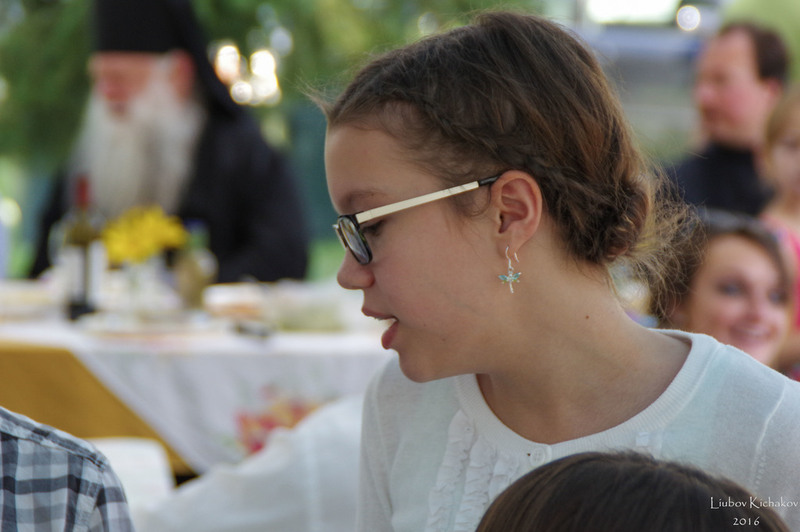 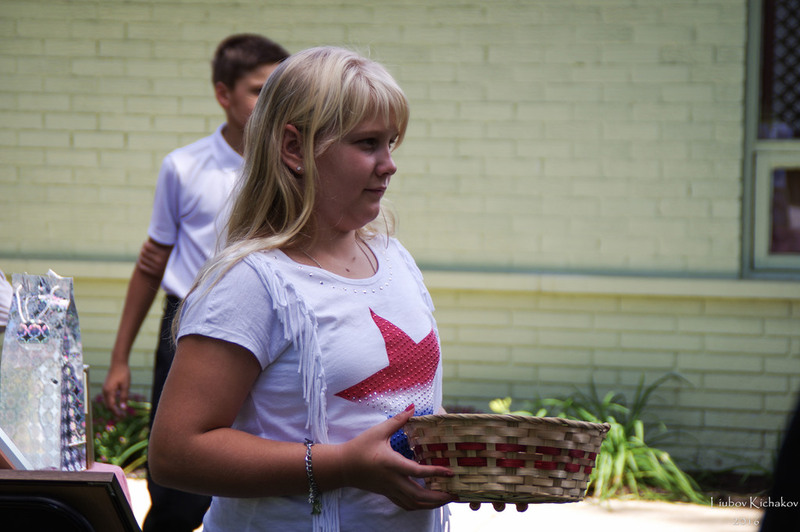 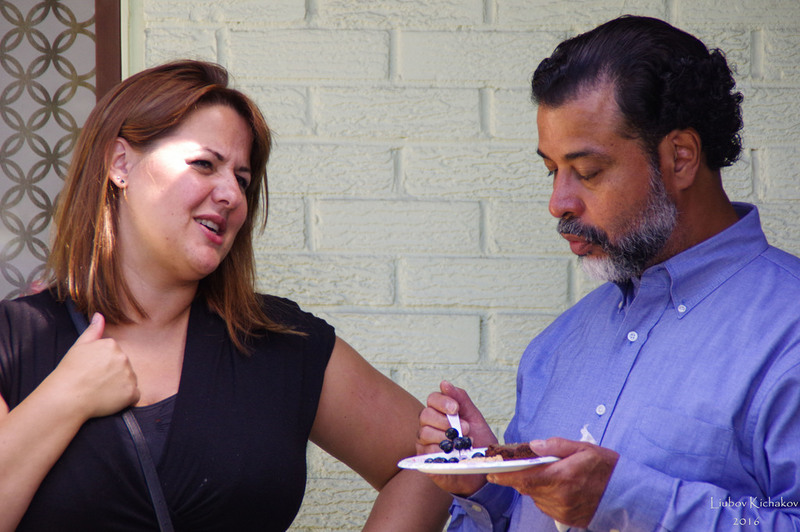 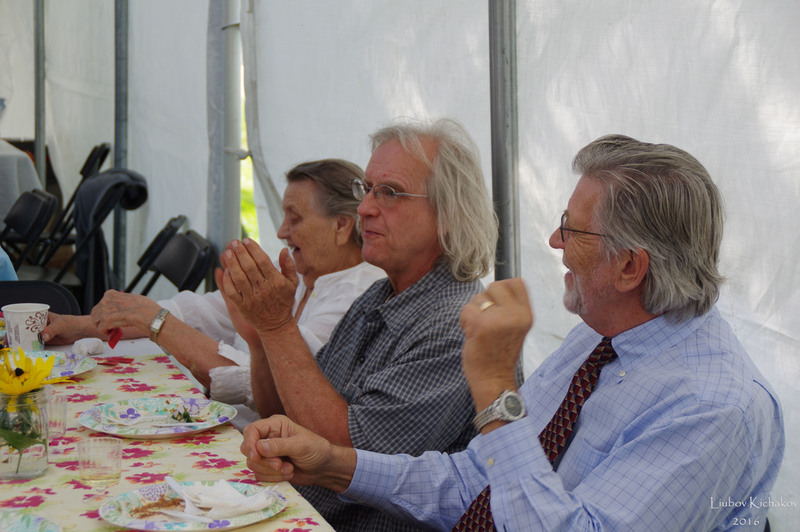 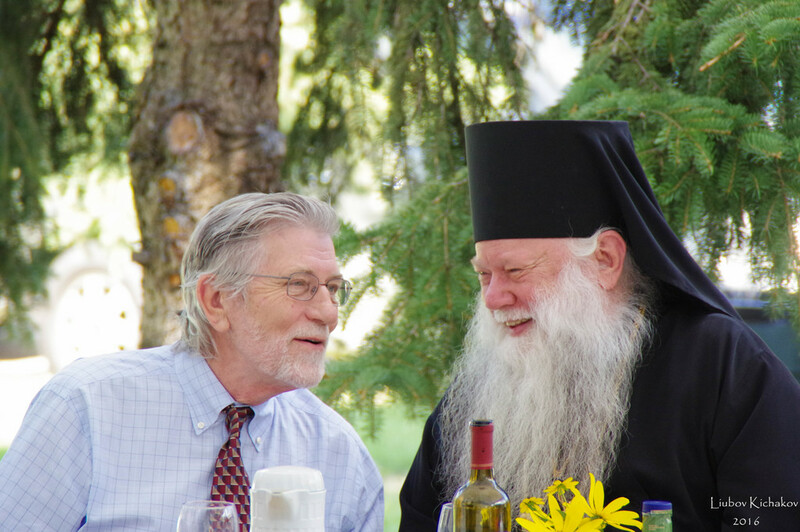 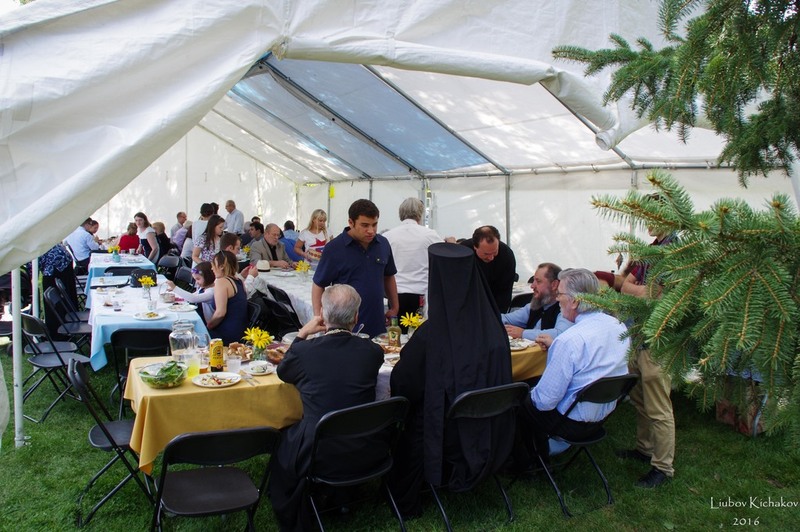 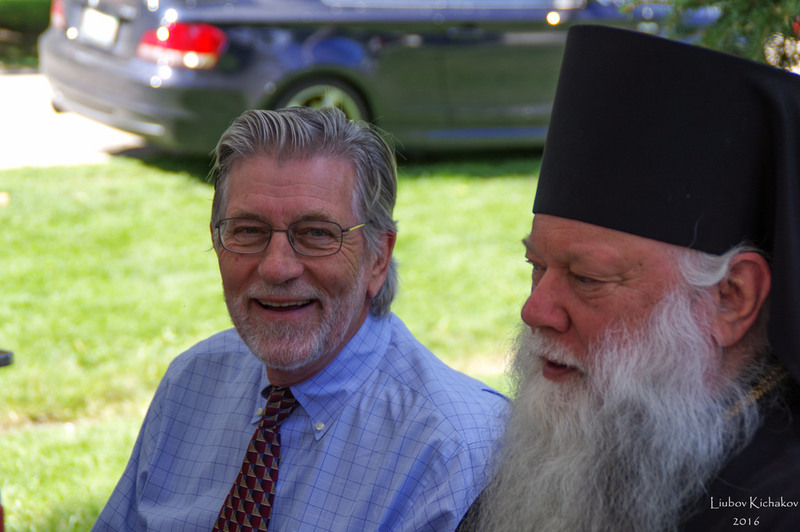 Following Divine Liturgy, His Eminence joined the faithful in a lovely and joyful picnic on the property grounds. 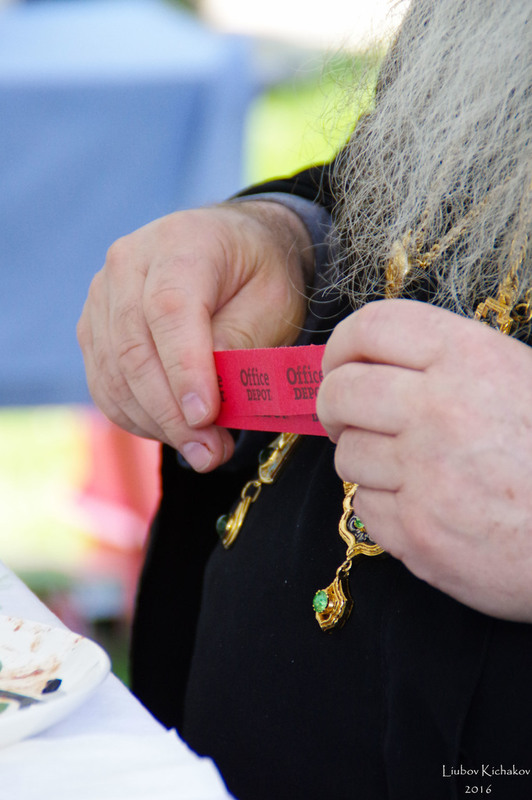 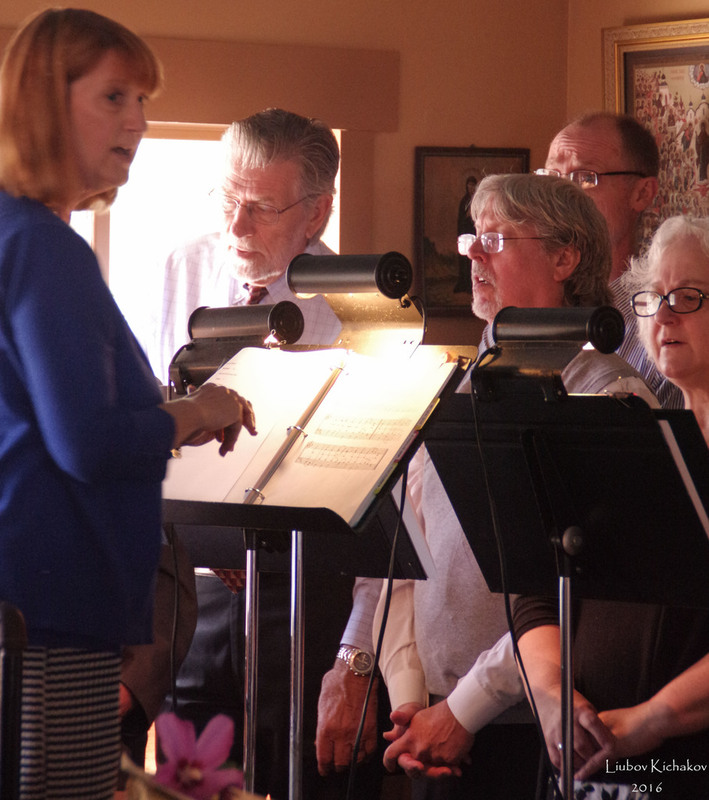 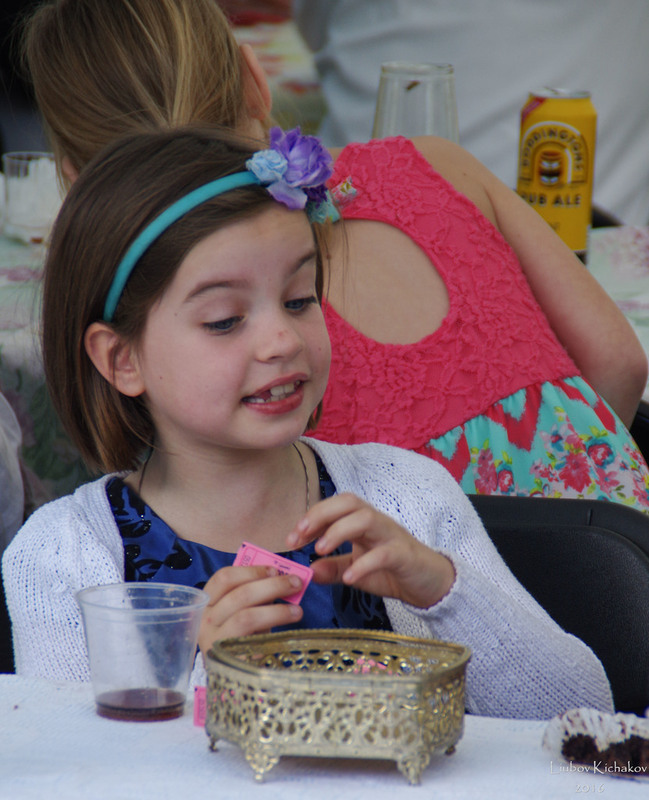 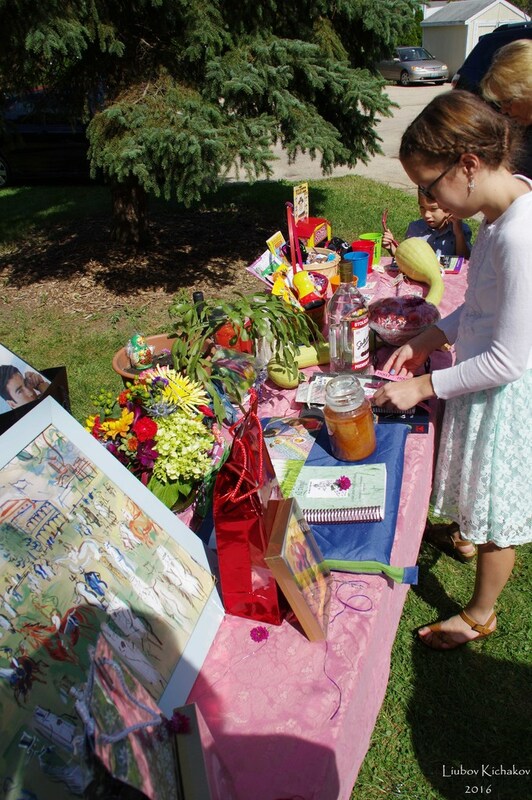 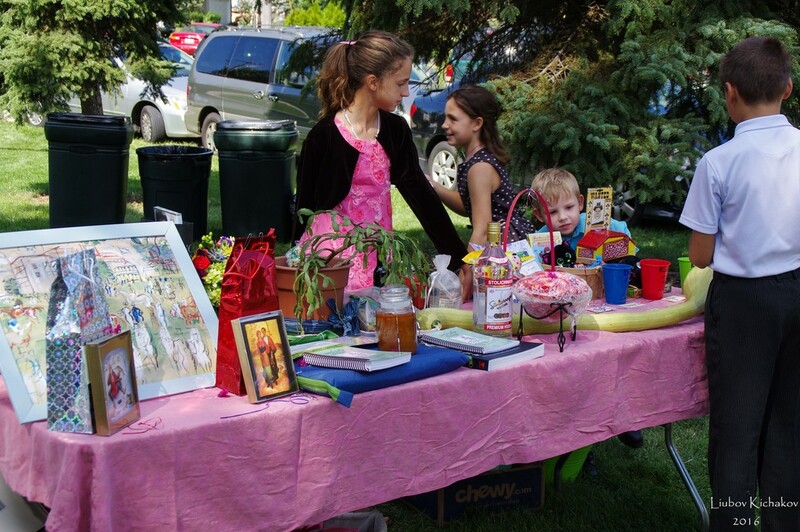 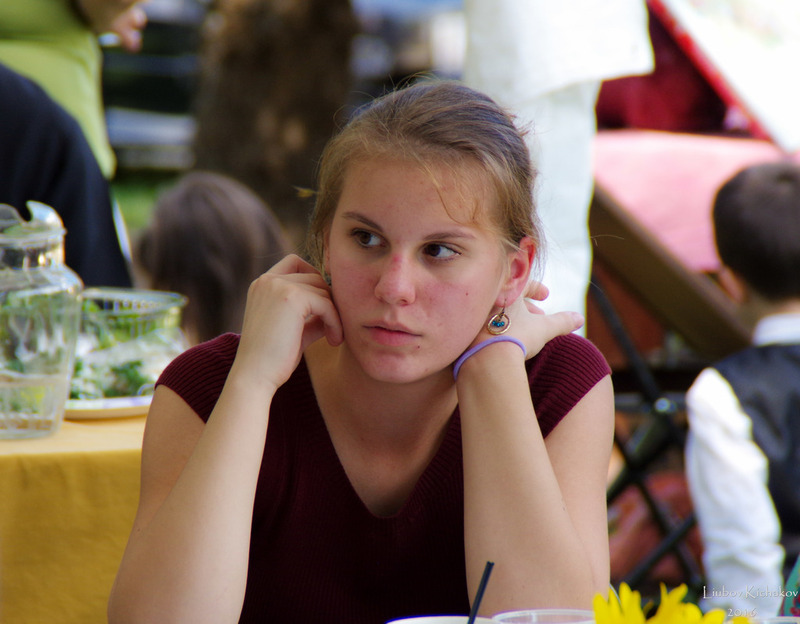 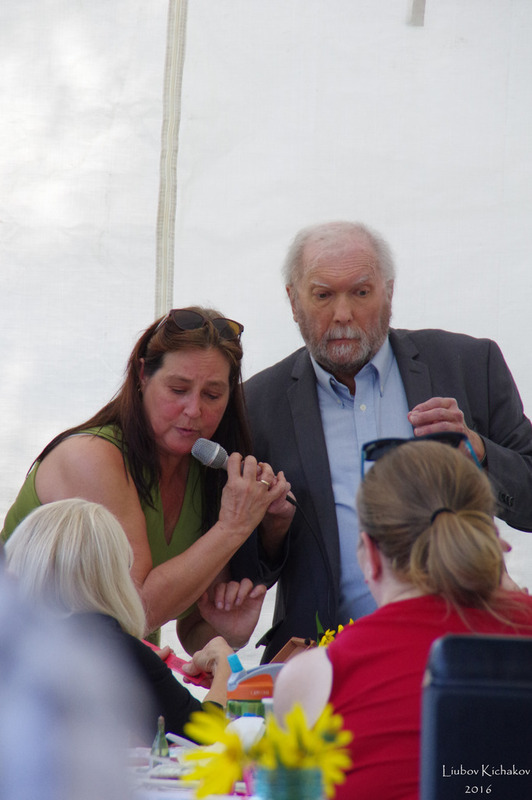 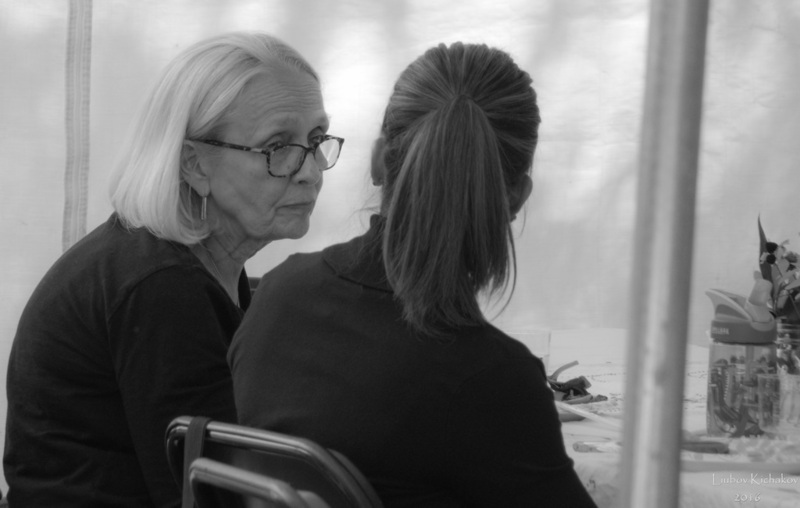 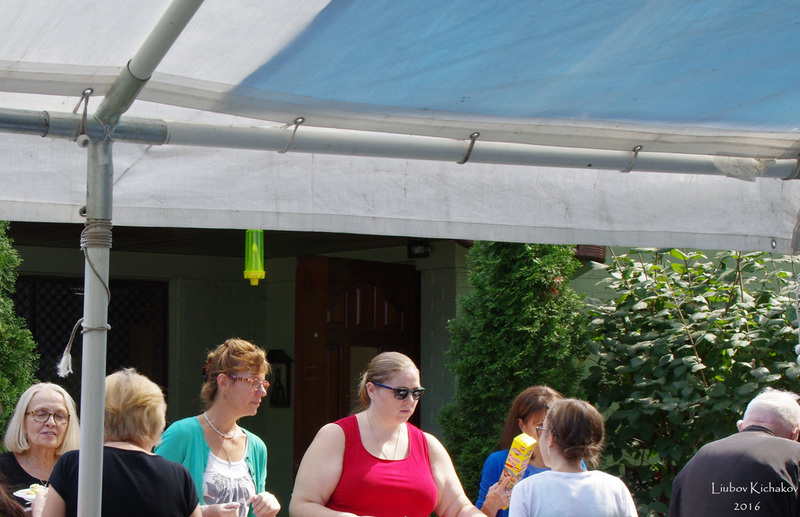 As the parish is raising money for upkeep of the church and grounds, a raffle for various prizes was held. 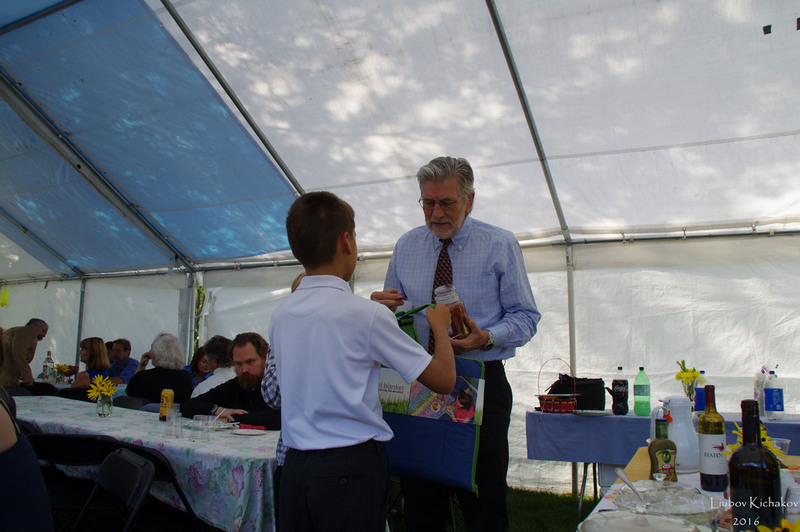 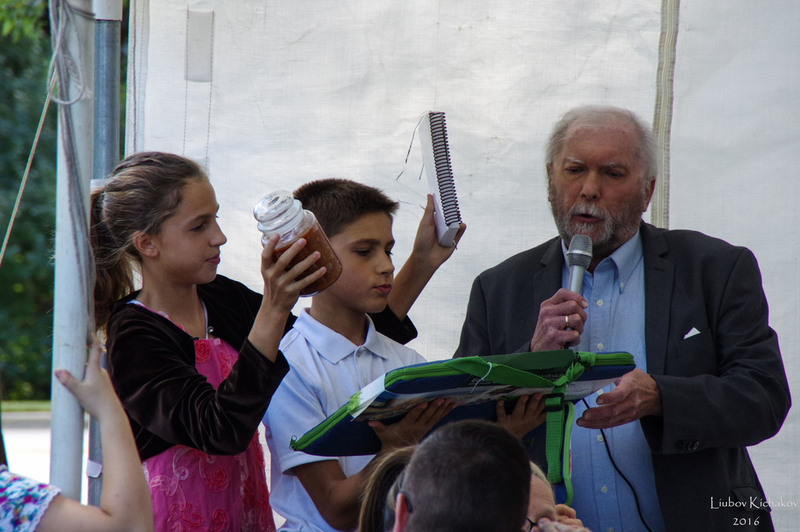 Some of the prizes included paintings, books and souvenirs. 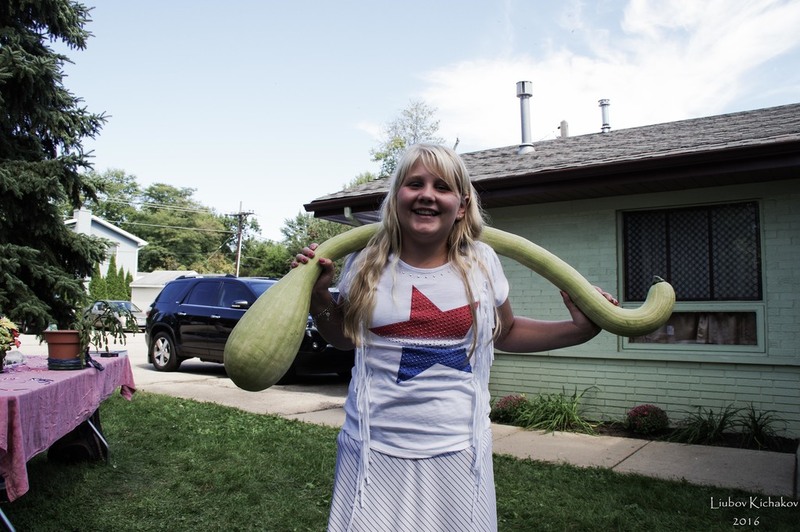 The most fascinating was an enormous squash from the garden of a parishioner. 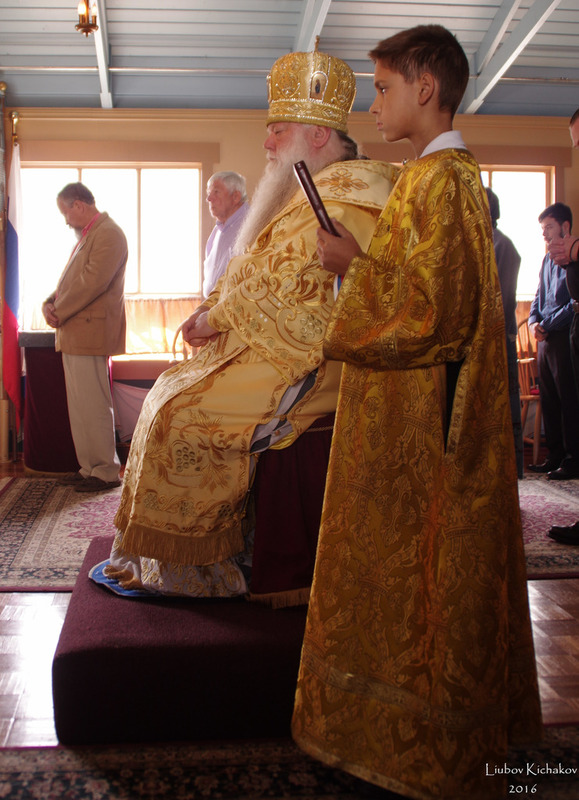 His Eminence congratulated the parish on their founding day and asked for their prayers.